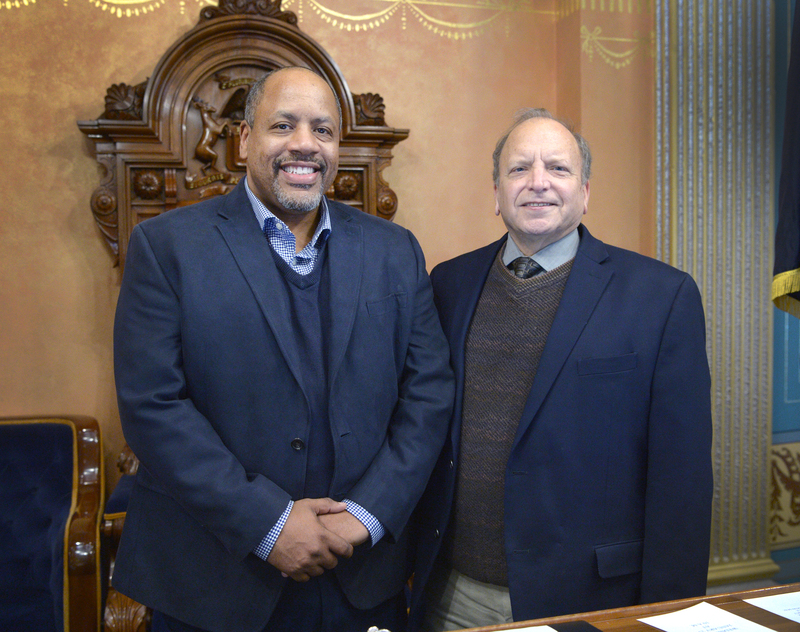 LANSING, Mich. — Sen. John Bizon, M.D., R-Battle Creek, (right) welcomed the Rev. Dr. Tino W. Smith of Kingdom Builders Worldwide church in Battle Creek to the Michigan Capitol on Tuesday. Smith gave the invocation before the start of the Senate session. Note: For a print-quality version of this or other Bizon photos, click the image or select Photos from the In the News drop-down menu, above.